The West Accommodation Centre is in the Polden accommodation block on the west side of campus and is home to part of the Accommodation team. 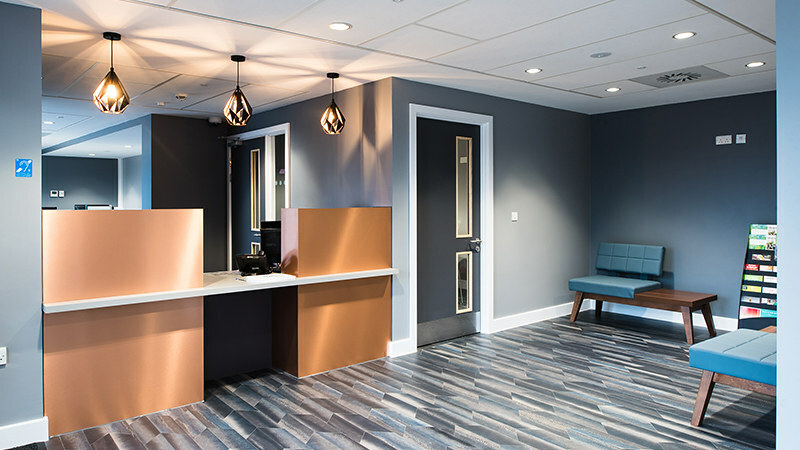 The reception area of the West Accommodation Centre. Image by Rebecca Noakes Photography. Visit the West Accommodation Centre if your accommodation key needs reprogramming. If you need to replace a lost key please visit the East Accommodation Centre or the security desk in the Library. We also help with finding private sector accommodation and accommodation for visiting academics staying in the Esther Parkin Residence. The West Accommodation Centre has ramp access with a manual, single-width door. Visit AccessAble for detailed information on the accessibility of the West Accommodation Centre.